It’s been a while since I’ve posted anything, with no other excuse than life getting in the way. The books to write about are stacking up, and I hope to find some time to post a few soon. In writing news, I just got the final edits back from my story in the forthcoming second Pen-Ultimate Speculative Fiction Anthology. 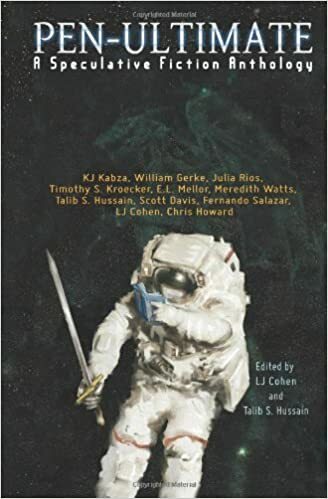 It’s the second collection of short stories from participants in Jeffrey Carver and Craig Shaw Gardner’s Ultimate Science Fiction Writing Workshop, which I attended a number of years ago and promises to include even more excellent fiction than the first anthology–including several more from folks from my workshop class. My story, “Oldest Friends”, appears in the first anthology, which is available in print and e-book on Amazon. All proceeds from the sale of the book will be donated to the SFWA (Science Fiction and Fantasy Writers of America) emergency medical fund. The second promises even more contributors, including several more from my workshop class. I’ll post updates on release dates here.